It is not difficult to find Grids in the of city of Hong Kong. All these pictures were taken in the heart of the city. The first one was a view down a restaurant on the 62nd floor. It shows some very regular vertical and horizontal lines coming together forming a grid. The second one shows a series of inclined struts, outside the Cultural Center in Tsim Sha Tsui of Kowloon. The third one was taken in the IFC (International Financial Center) in Central, Hong Kong island. 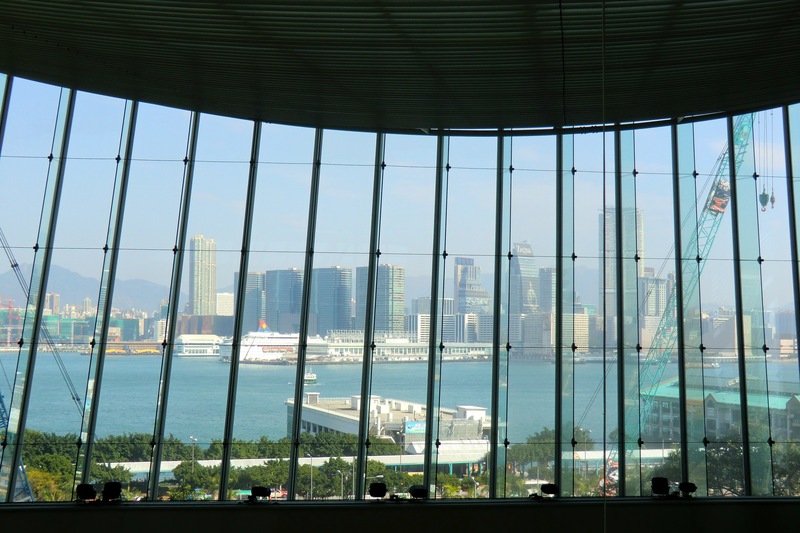 It is a view through the curtain wall of the mall, towards the Kowloon side. As always, you can see some construction activities going on – a part of life in Hong Kong.